Ive seen my friends drinking juice with L carnitine thinking that by doing so…they are enjoying the taste plus the calories from the juice while the Carnitine burns the fat that makes them lose weight. This would be an ideal setting and definitely one that will earn the founder of this promise of weight loss while enjoying the food will win the Novel Prize Winner in Science…. All in the game of marketing and the problem is…these products are winning high in sales because people are easily fooled by marketing. Just like our kids are fooled into eating fried chicken because they’re healthy! Carnitine is an important nutrient. It is one that helps the body turn fat into energy. So marketing the product from this basis : enjoy the taste of juice while burning your fat and lose weight…is one marketing that is really stretching the facts too lame! Unfortunately people buy the ads as if they are the truth! Lastly beware of websites from companies selling the product…claiming facts regarding carnitine and products that they sell… because bias in reporting data is always evident. Be vigilant when searching for them in the internet. Always check the source and its realiability of the findings including the institution that claims the facts!! The truth of L carnitine is that at present and quote from the University of Maryland website: NO PROOF! Dont Be Fooled… Enjoy Water instead! Licking Speeds Up Wound Healing…. Call it reflex but the moment something feels painful or see blood in our fingers or hands, we immediately bring that finger into our mouth to lick it! We feel better and we think it stops the bleeding. Wounds in the oral cavity heal much faster than skin lesions. Among other factors, saliva is generally assumed to be of relevance to this feature. Rodent saliva contains large amounts of growth factors such as epidermal growth factor (EGF) and nerve growth factor (NGF). In humans, however, the identity of the involved compounds has remained elusive, especially since EGF and NGF concentrations are 100,000 times lower than those in rodent saliva. Using an in vitro model for wound closure, we examined the properties of human saliva and the fractions that were obtained from saliva by high-performance liquid chromotography (HPLC) separation. We identified histatin 1 (Hst1) and histatin 2 (Hst2) as major wound-closing factors in human saliva. In contrast, the D-enantiomer of Hst2 did not induce wound closure, indicating stereospecific activation. Furthermore, histatins were actively internalized by epithelial cells and specifically used the extracellular signal-regulated kinases 1/2 (ERK1/2) pathway, thereby enhancing epithelial migration. This study demonstrates that members of the histatin family, which up to now were implicated in the antifungal weaponry of saliva, exert a novel function that likely is relevant for oral wound healing. Now we know why nature tells us to lick our wounds…why dogs and cats do it too!!!! This study also explains why mouth sores heal easily even if we dont do anything to them. Hopefully in the future, this will help scientists develop new and better ways to help heal the wounds especially among those with diabetes or poor circulation that require the most aggressive way of treating the wounds to avoid complications like amputation. For now…if you can lick it… go for it!!!! It is easier to convince a child to eat meat than to eat veggies. This scenario is given. We are exposed to too many ads on meat whether chicken meat or beef meat on TV and newspapers. It is therefore a challenge to parents to introduce other varieties of food that we deem healthier to the next generation. It may take us some time to be successful but a little step can indeed go a long way overtime! Background High intakes of red or processed meat may increase the risk of mortality. Our objective was to determine the relations of red, white, and processed meat intakes to risk for total and cause-specific mortality. Methods The study population included the National Institutes of Health–AARP (formerly known as the American Association of Retired Persons) Diet and Health Study cohort of half a million people aged 50 to 71 years at baseline. Main outcome measures included total mortality and deaths due to cancer, cardiovascular disease, injuries and sudden deaths, and all other causes. Results There were 47 976 male deaths and 23 276 female deaths during 10 years of follow-up. Men and women in the highest vs lowest quintile of red (HR, 1.31 [95% CI, 1.27-1.35], and HR, 1.36 [95% CI, 1.30-1.43], respectively) and processed meat (HR, 1.16 [95% CI, 1.12-1.20], and HR, 1.25 [95% CI, 1.20-1.31], respectively) intakes had elevated risks for overall mortality. Regarding cause-specific mortality, men and women had elevated risks for cancer mortality for red (HR, 1.22 [95% CI, 1.16-1.29], and HR, 1.20 [95% CI, 1.12-1.30], respectively) and processed meat (HR, 1.12 [95% CI, 1.06-1.19], and HR, 1.11 [95% CI 1.04-1.19], respectively) intakes. Furthermore, cardiovascular disease risk was elevated for men and women in the highest quintile of red (HR, 1.27 [95% CI, 1.20-1.35], and HR, 1.50 [95% CI, 1.37-1.65], respectively) and processed meat (HR, 1.09 [95% CI, 1.03-1.15], and HR, 1.38 [95% CI, 1.26-1.51], respectively) intakes. When comparing the highest with the lowest quintile of white meat intake, there was an inverse association for total mortality and cancer mortality, as well as all other deaths for both men and women. Conclusion Red and processed meat intakes were associated with modest increases in total mortality, cancer mortality, and cardiovascular disease mortality. This study further confirms the relationship between red meat and cancer, heart and overall risk of death. Likewise, the study also showed that fish or intake of white meat was associated with a reduction in the risk of death. Over 10 years, those that eat meat equivalent to a quarter-pound hamburger can increase ones risk to die from cancer by 22 percent and the risk to die from heart disease by 27 percent. Cut The Red Meat… Enjoy Fish in time for the Lenten Season…. Take a Nap…Its Good for your Memory!!! It is now known that being sleep deprived means…risking yourself to suffer from chronic illnesses including diabetes and heart disease. 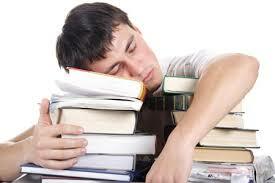 Now comes an interesting observation published in Sleep Journal that links sleep to memory…. In this study we examined the benefit of a daytime nap containing only NREM sleep on the performance of three declarative memory tasks: unrelated paired associates, maze learning, and the Rey-Osterrieth complex figure. Additionally, we explored the impact of factors related to task acquisition on sleep-related memory processing. To this end, we examined whether testing of paired associates during training leads to sleep-related enhancement of memory compared to simply learning the word pairs without test. We also examined whether strength of task acquisition modulates sleep-related processing for each of the three tasks. Subjects (11 male, 22 female) arrived at 11:30, were trained on each of the declarative memory tasks at 12:15, and at 13:00 either took a nap or remained awake in the sleep lab. After the nap period, all subjects remained in the lab until retest at 16:00. Compared to subjects who stayed awake during the training retest interval, subjects who took a NREM nap demonstrated enhanced performance for word pairs that were tested during training, but not for untested word pairs. For each of the three declarative memory tasks, we observed a sleep-dependent performance benefit only for subjects that most strongly acquired the tasks during the training session. NREM sleep obtained during a daytime nap benefits declarative memory performance, with these benefits being intimately tied to how well subjects acquire the tasks and the way in which the information is acquired. For a sharper memory… taking a nap can definitely help! “Not only do we need to remember to sleep, but most certainly we sleep to remember,” . The main message of the investigator and researcher Dr. William Fishbein, a cognitive neuroscientist at the recent meeting of the Society for Neuroscience. AND remember to take care of your brain because just like anything else in life…it needs to rest to function better!